← Come, let us rejoice! The day after the inauguration, Linda and I flew to Orlando, Florida, joined by two Vice Presidents from the school. We attended the annual conference of hosted by ABHE (Association for Biblical Higher Education), the accrediting body for Heritage College and Seminary. 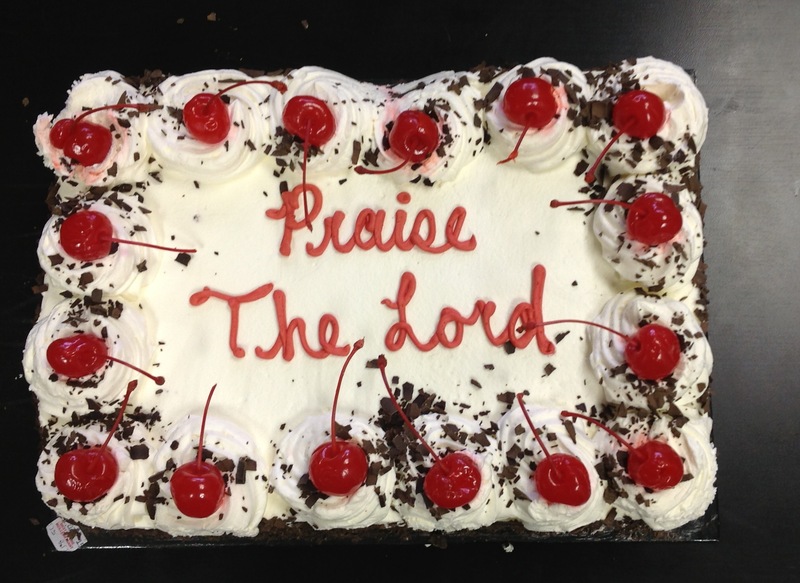 The Lord answered prayer related to our accreditation status, which was a cause for great rejoicing for us in Florida and for the team who celebrated with this cake back in Cambridge. We also attended several days worth of sessions and seminars designed to help school leaders. As there is a definite learning curve to my new position, I was grateful to meet others who have similar roles. Being in Florida in February wasn’t all that bad either. Our flight home was delayed by—I know this will be hard to imagine—a snowstorm that grounded flights in Toronto for several hours. I’ve returned with a better sense of the challenges and opportunities that schools like Heritage face. A friend who teaches at a Christian university in the States told me, “The best way for a school thrive and succeed is by being valuable to God and to His kingdom.” I couldn’t agree more. My prayer is that Heritage will be a school that thrives because it’s involved in something valuable to God and His kingdom—the training of men and women for a lifetime of serving Christ and His church both in Canada and around the world.